There is an old adage that goes “pictures are worth a thousand words.” Like a picture, a video can also tell a story the way words cannot. Broadcast journalists must think not only in terms of factual information, but also in how video will portray or reinforce words. No matter where you watch it, broadcast journalism strives to give audiences important and breaking news quickly and accurately. These journalists collect and verify stories which affect their audience, and present the news in an accurate and balanced way to fulfil the public’s right to know in a democratic society. Broadcast journalists report on a variety of current event topics, ranging from politics, entertainment, sports, the environment, social unrest or the economy. However, not every broadcast journalist works in front of the camera as a reporter or anchor. A typical newscast relies heavily on a team of producers, directors, editors and photographers working behind the camera. Join a listserv for broadcast journalism teachers to share ideas and solve problems together. Created by Carol Knopes, formerly of the Radio Television News Directors Foundation, the listserv is administered by the Center for Scholastic Journalism at Kent State University. Join here! A series of lessons that teachers can use in any broadcast journalism program as well as recommendations for equipment and guidelines for starting a broadcast program. Much of the material can be easily modified for print and online journalism classes, as well as television production modules. 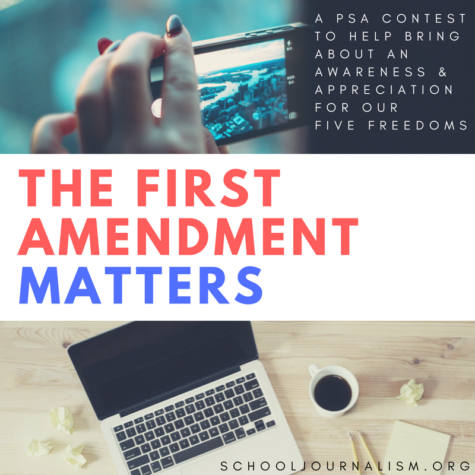 Developed with a grant from the John S. and James L. Knight Foundation for RTDNF and made available on SchoolJournalism.org. This iBook by Don Goble provides readers with a simple six-word story, created as a video with six unique camera shots that gives students the ability to tell a powerful visual story. This One Best Thing guides educators through a project that addresses the fundamentals of filmmaking, as well as the digital storytelling process. This article provides a comprehensive guide for schools considering beginning a broadcast journalism program, including a resource of ideas and best practices. Additionally, JEA provides JEA Curriculum access to all of its members. This curriculum includes a number of Multimedia Broadcast lessons that can be used in the classroom. PBS’ Student Reporting Labs program contains an eight-part instructional video series that explores topics such as video, production roles, audio, lighting, white-balance, interviewing and B-roll. The site also provides 9 lesson plans for teachers aimed at strengthening digital and news literacy competencies. Journalism students need to understand how to create stories using many different types of media. Video is one of those types of media. After reviewing and working on the basics of written news stories students will take these skills as a young journalist and create a small package that will cover a topic, relevant to school, within three class periods. This lesson is developed to be part of the study of media frameworks during an introductory Journalism class. It should expose students to quality journalism and how in-depth coverage is used effectively. It should inspire students to think comparatively about news programming and how radio measures up to print. It is also meant to show students how a serious news organization can have fun in reporting, as well as getting students excited about current events. This article discusses some of the responsibilities of a producer during a newscast. Anchors are the most prominent feature of any newscast. This article contains tips on speaking as a broadcaster.